The alluvial, warm and well drained gravelly soil of the Herrenweg has shown us its capacity to ripen grapes to very high levels in recent vintages. The cooler month of August 2012 did delay the ripeness of this grape variety and at the same time prevented the sugars from rocketing. 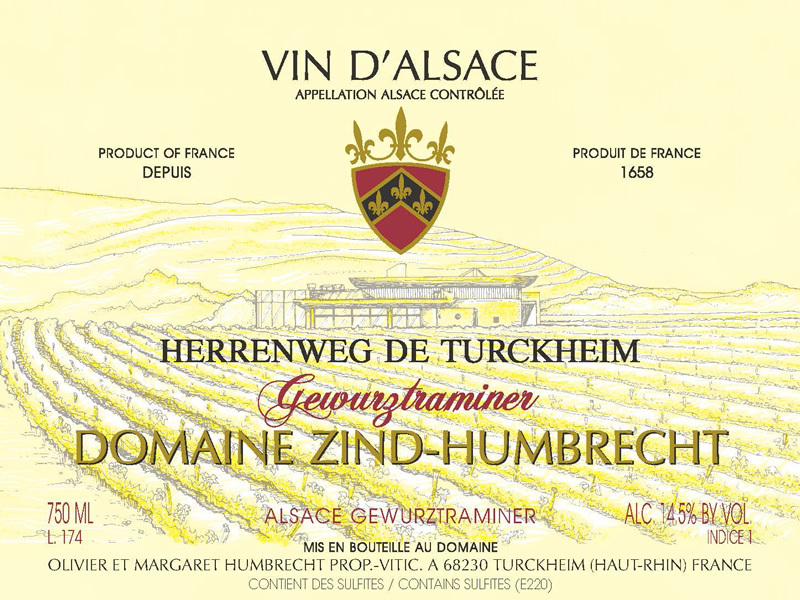 The 2012 Herrenweg was harvested with traditional ripeness and therefore was able to complete the fermentation, quite quickly, in a dry style. 2/2012: elegant combination of exotic fruits, citrus and light rose aromas, very typical of this precocious vineyard. There is an agreeable false sense of sweetness, very inviting, but the palate comes a total surprise. The wine has an elegant power, tastes dry with a smooth finish. Perfect physiological ripeness explains the absence of harsh phenols, often problematic on dry Gewurztraminer. The finish is delicious. The wine keeps extremely well and can stand a long aeration.